As Turkey rises to be an economic and political leader of its region and the world, education thought leaders fear that the public school system’s antiquated and pedantic methodologies will prevent rising generations from continuing the country’s momentum. 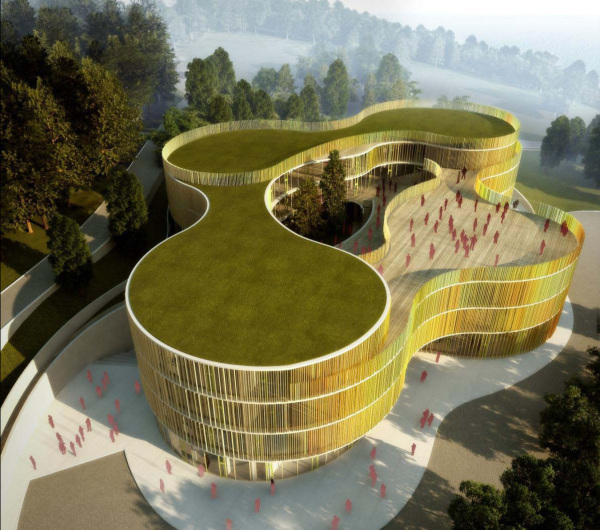 The Koc Foundation, which regularly commissions new facilities for the country’s public schools, decided to create a “model school.” Set in an idyllic community overlooking the Bosphorus, the school would not only model ideal environments for learning, but also set new standards for the teaching practices that occur within it. Yazdani Studio and The Third Teacher+ partnered with Koc to develop a vision and architectural concepts for the Model School. In order to honor local culture and sustainably create a living laboratory for new approaches, the process began with an ethnographic study and facilitated discussions between Koc leadership, representatives from the Ministry of Education and Turkish education reform leaders. The concept of “learning hubs” emerged creating clusters organized around disciplines where each cluster contains classrooms and studios along with common spaces. This cluster approach creates dynamic learning spaces in contrast to the double loaded corridors with classrooms on either side from schools past. By implementing varied interior spaces that encourage small group learning and interaction, the school is reinforcing a sense of curiosity and discovery for students. 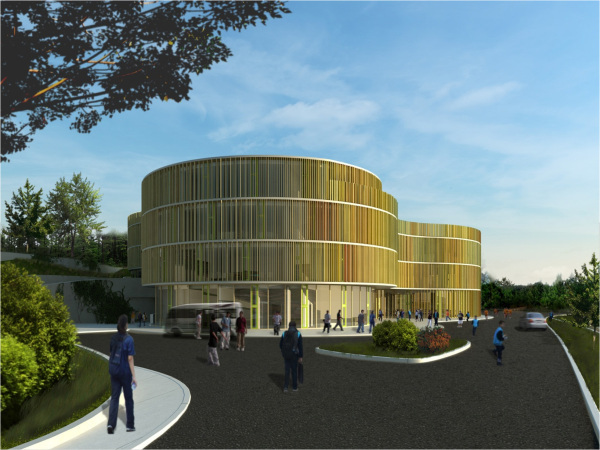 In addition to the unique interiors, the school will be designed to Net-Zero, setting an example of environmental stewardship for the district. What does the ideal teaching and learning approach and environment look like for Turkey’s future?